A selfy at the ‘I amsterdam’ sign is a must when you’re visiting Amsterdam! 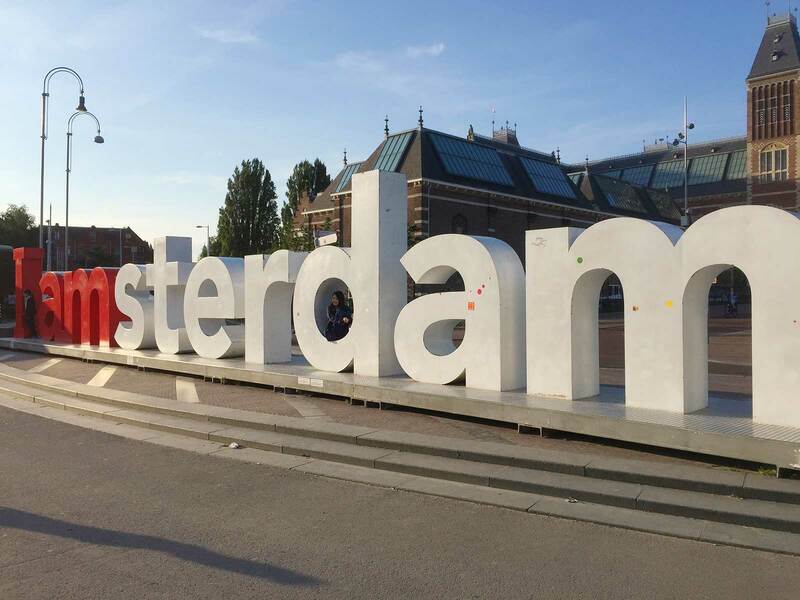 Altogether the I amsterdam sign is 23,5 meters broad and 2 meters high. In a short period of time the I amsterdam letters have grown in popularity. The Amsterdam City Council decided that the I amsterdam sign will be removed from the museum square. The I amsterdam sign is being moved to distribute the tourists in Amsterdam more evenly throughout the different neighborhoods in Amsterdam and to encourage repeat tourists. The letters will go on a journey through the city again, as it was once invented. The first destination of the letters will be in the street Jan van Galenstraat close to the Student Hotel Amsterdam West. Until December 12 the letters will be located here. The I amsterdam sign will be removed on monday December 3.